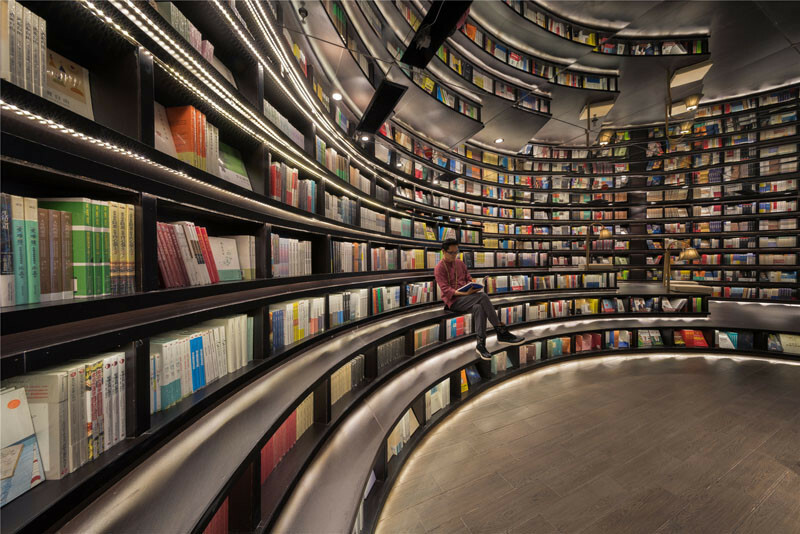 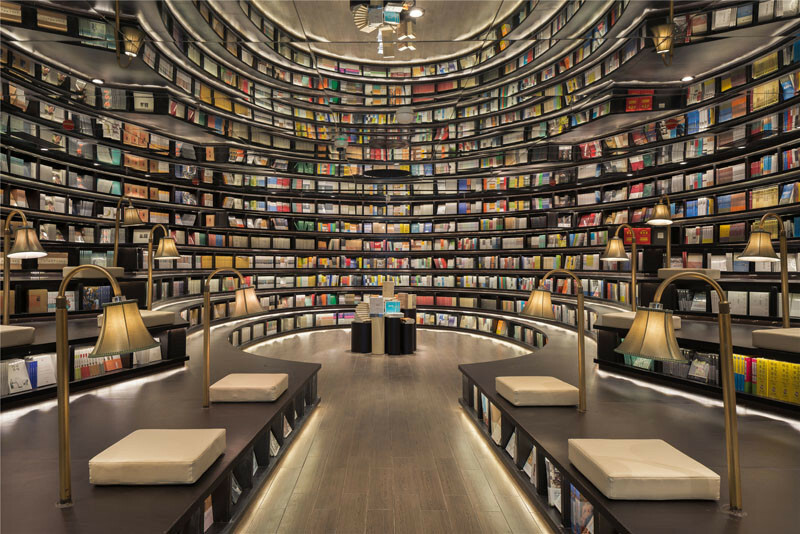 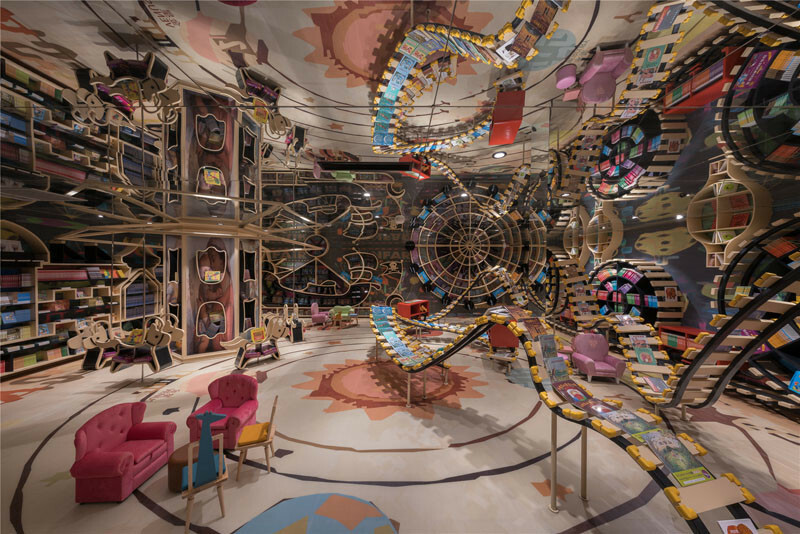 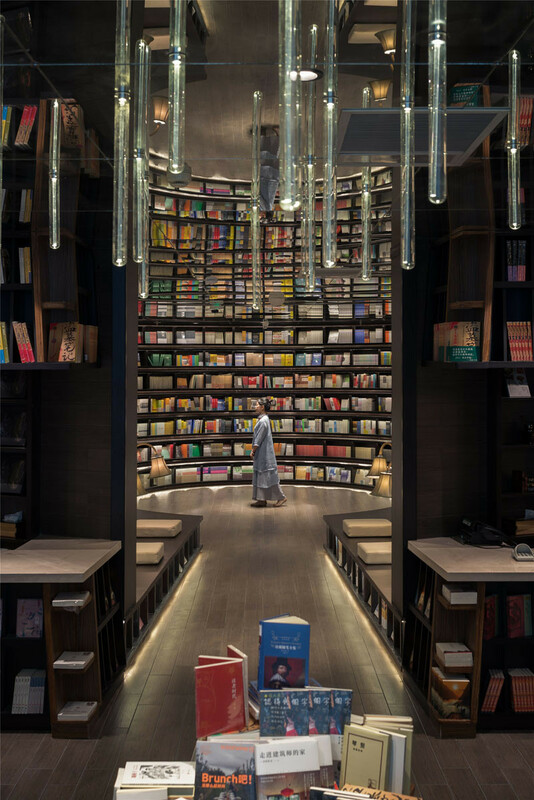 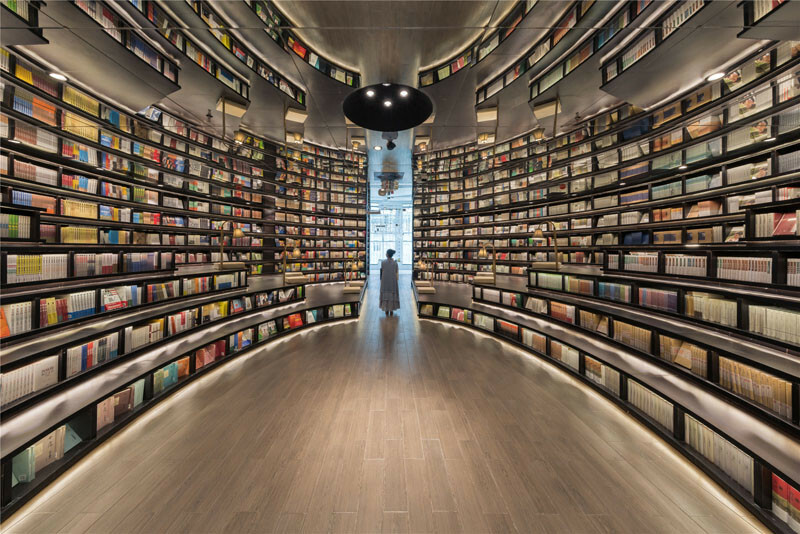 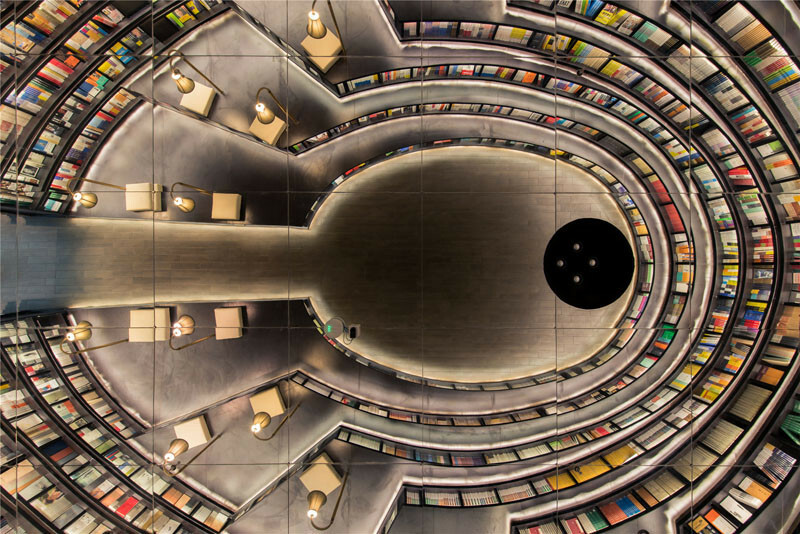 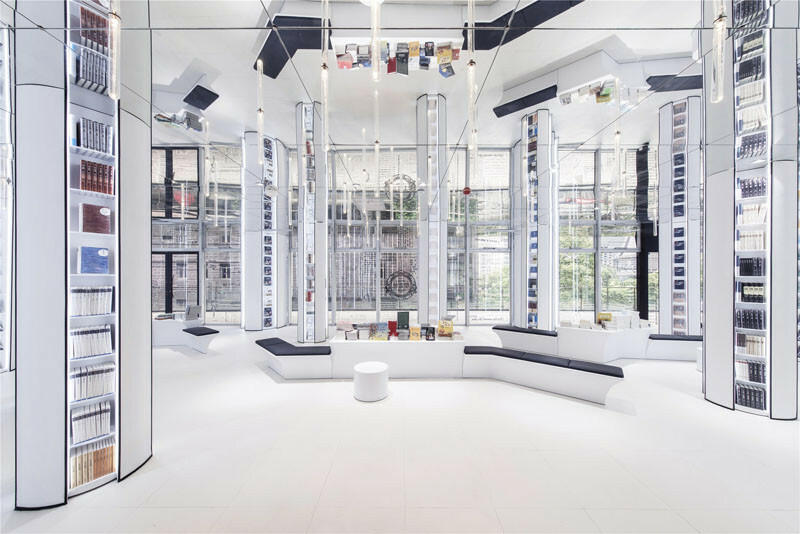 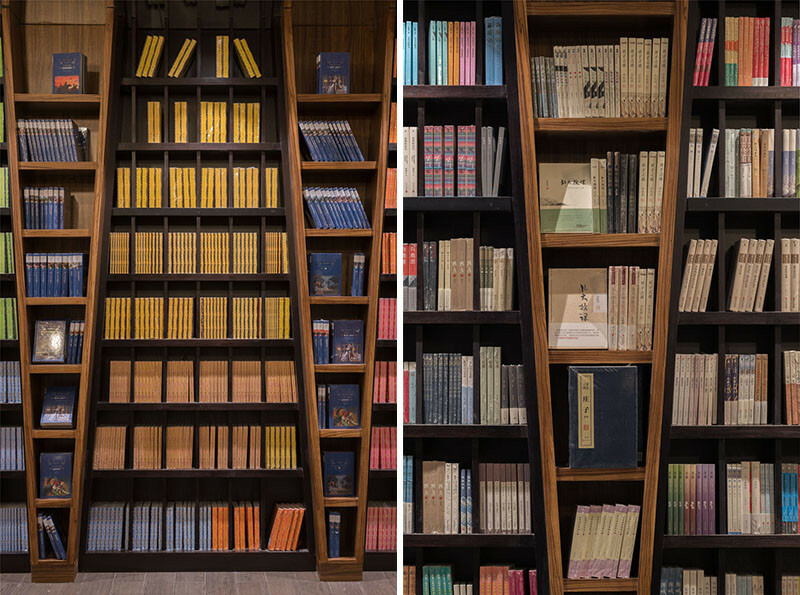 A new bookstore has recently opened in Hangzhou, China, and the inside is kind of amazing to see. 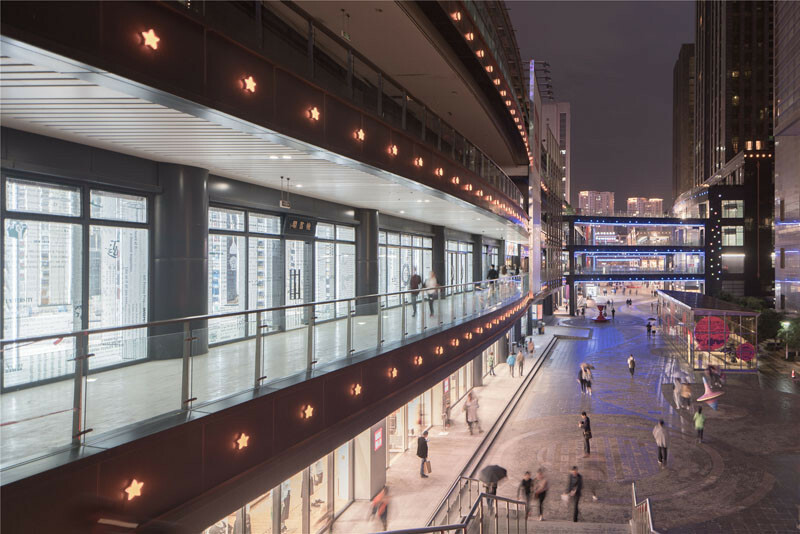 The store is located just above the main plaza, within the commercial center of Star Avenue, in the Binjiang District, and adjacent to Qiantang River. 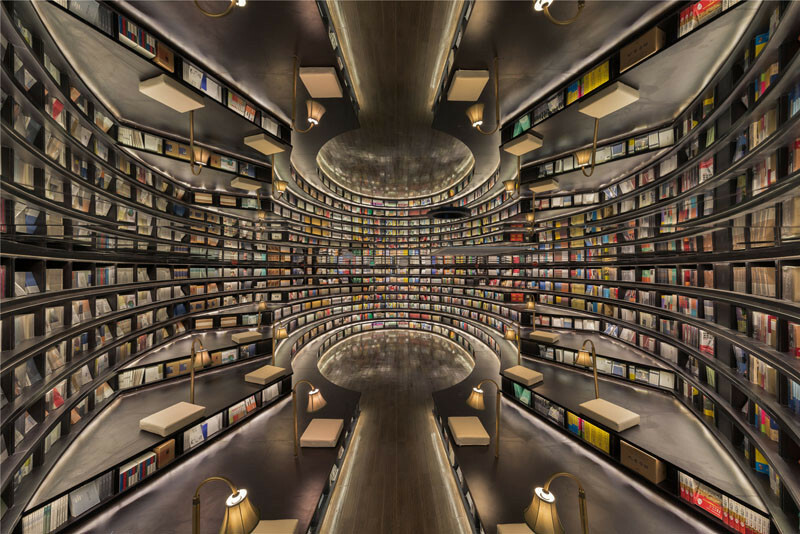 But enough with the outside, let’s have a look inside. 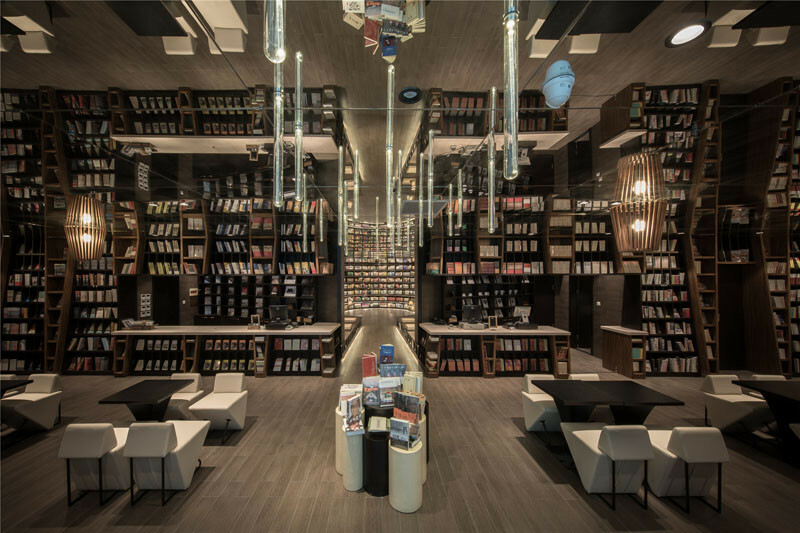 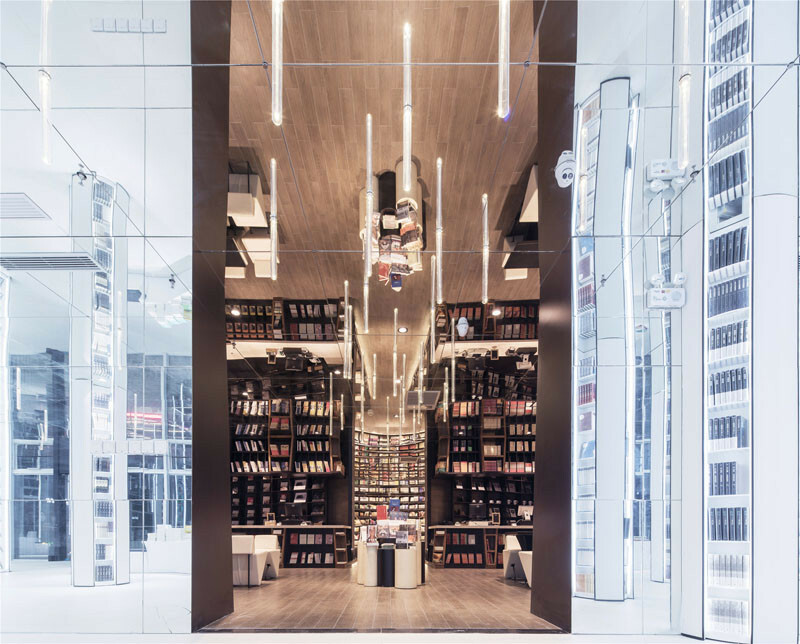 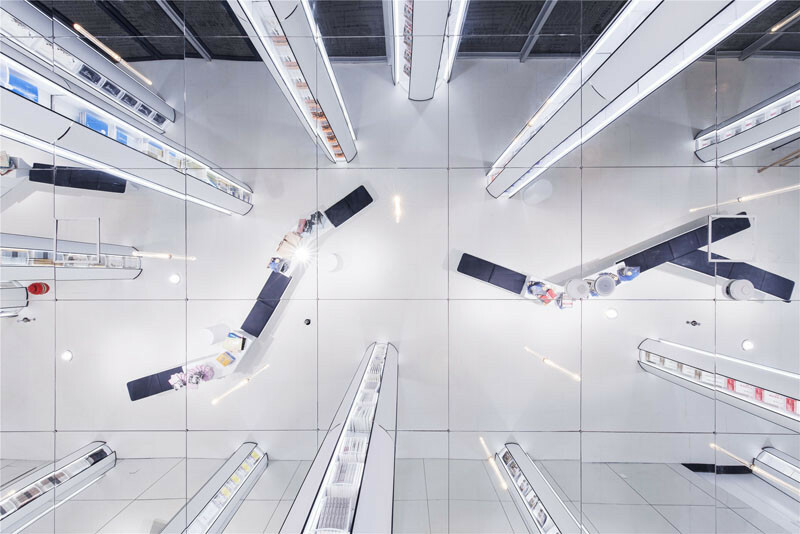 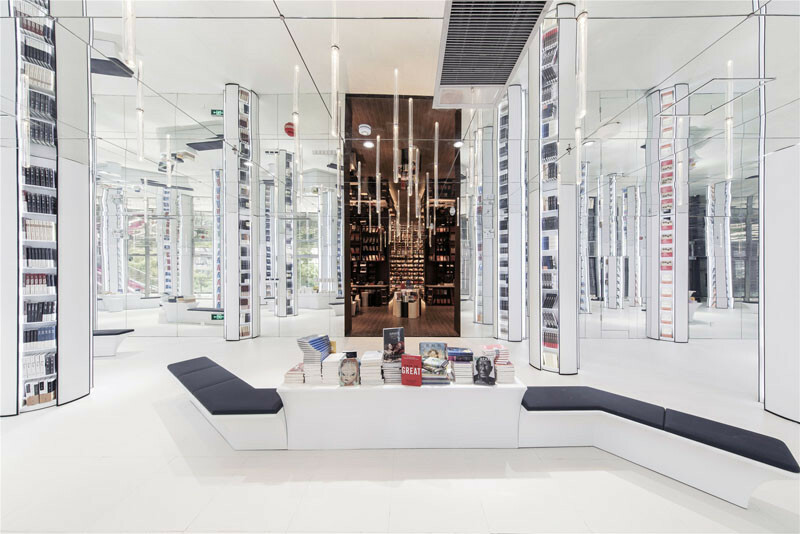 The bookstore, designed by XL-MUSE, has been designed so the spaces seem huge and never-ending. 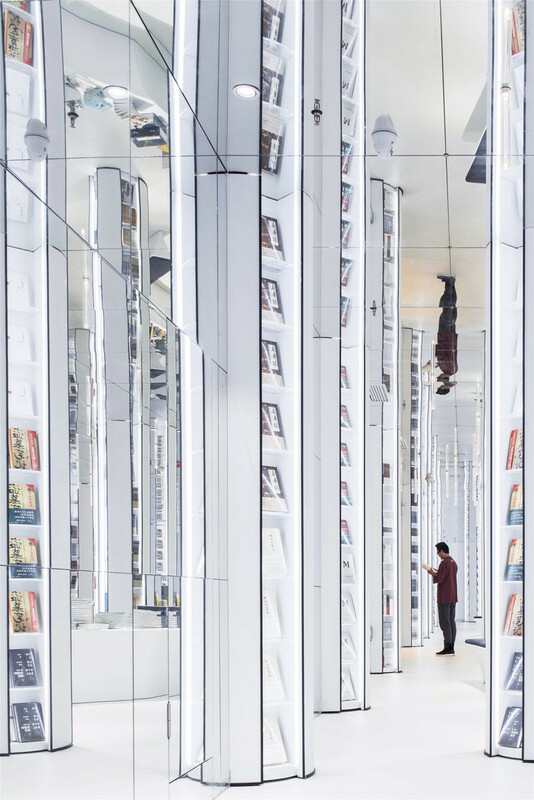 Everything has a sense of height added to it due to the mirrors that the ceiling is covered in. 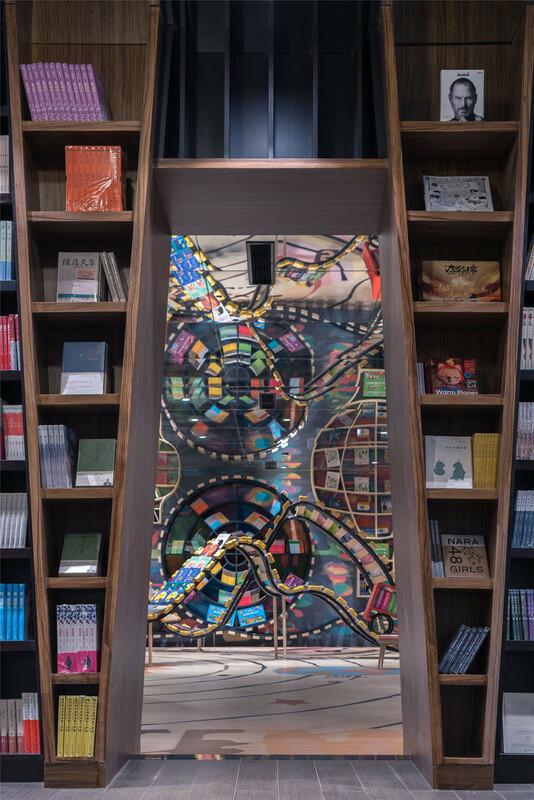 Different areas of the bookstore are located in sections off the main hall area. 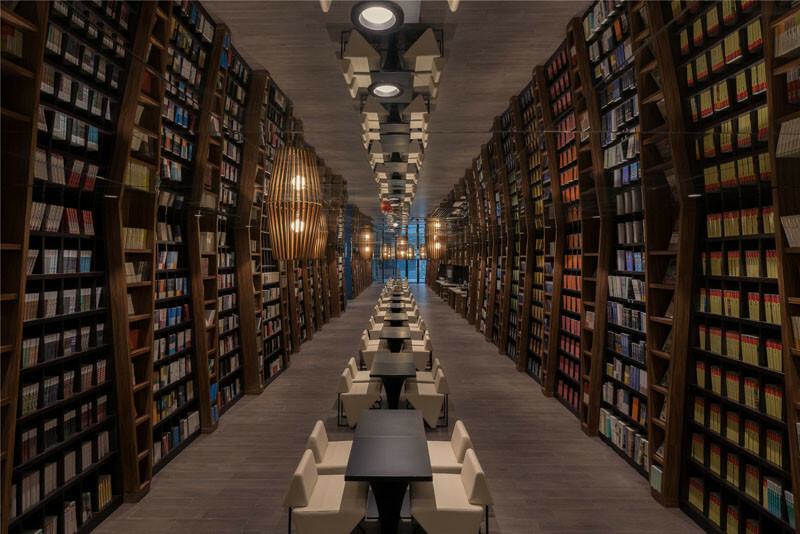 This is the quiet reading room. 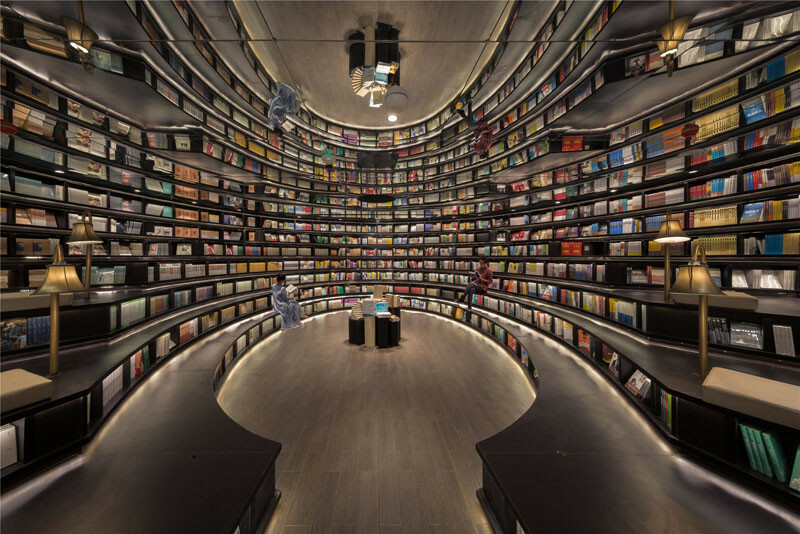 Inside the entire bookshelf extends endlessly to the side. 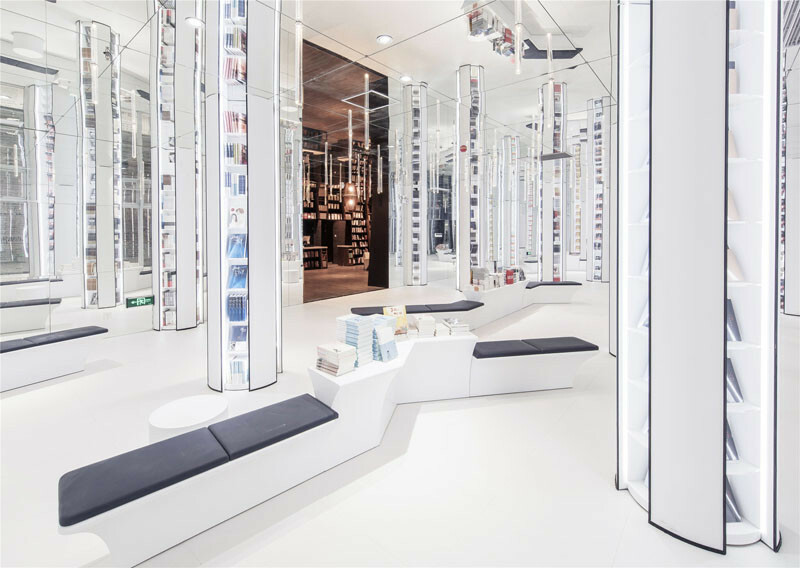 The shelves become steps that you can sit on. 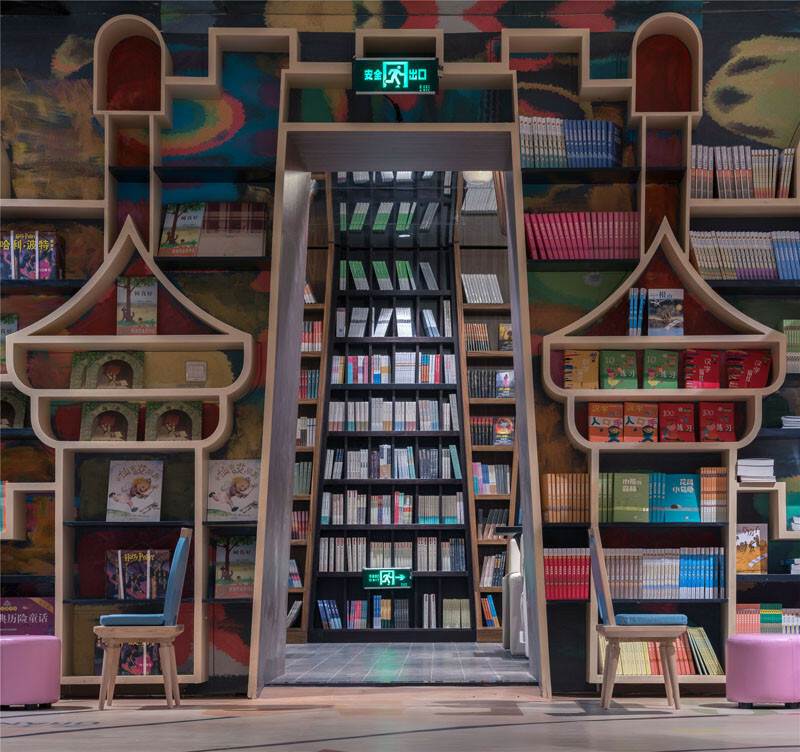 With some seats having cushions and reading lamps. 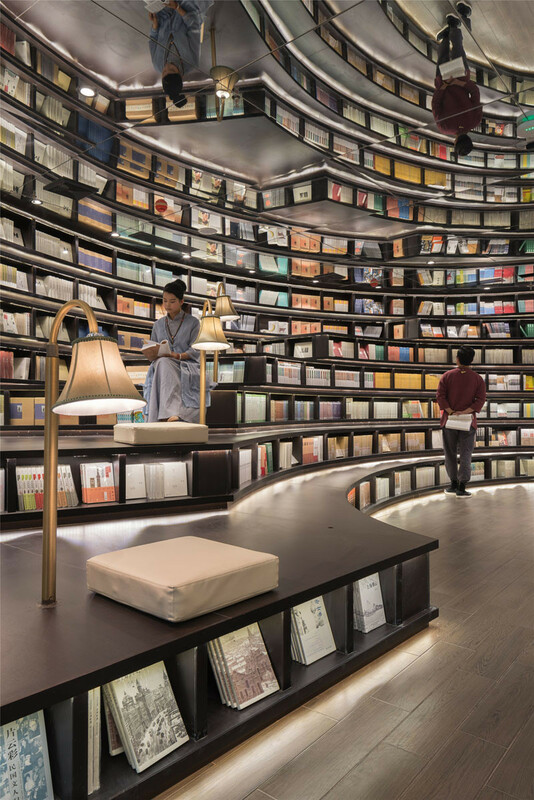 Heading out of the reading room, you enter the main hall again. 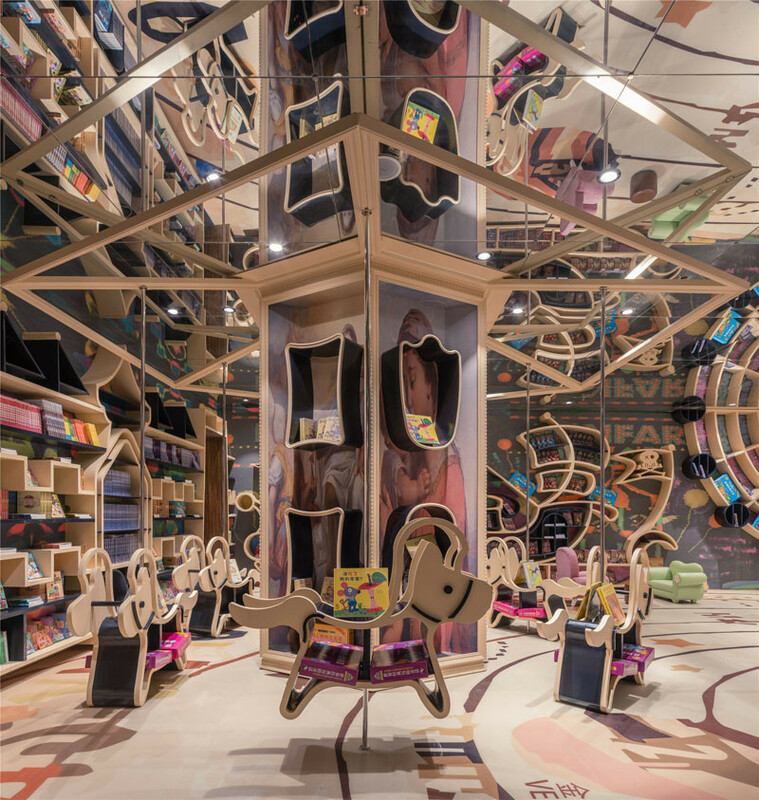 The next area, that runs along the front window of the store, is like a forest of mirrors. 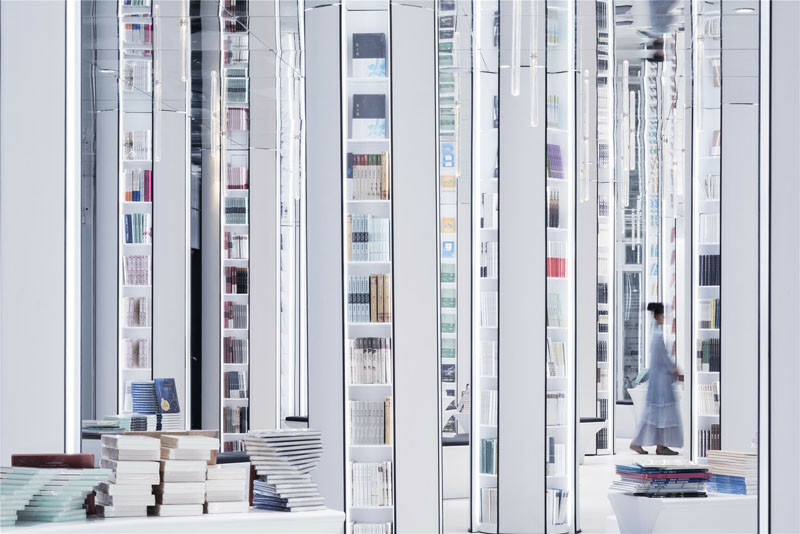 The white pillars are home to more books, and bench seating makes it seem like you are sitting on a log in a forest. 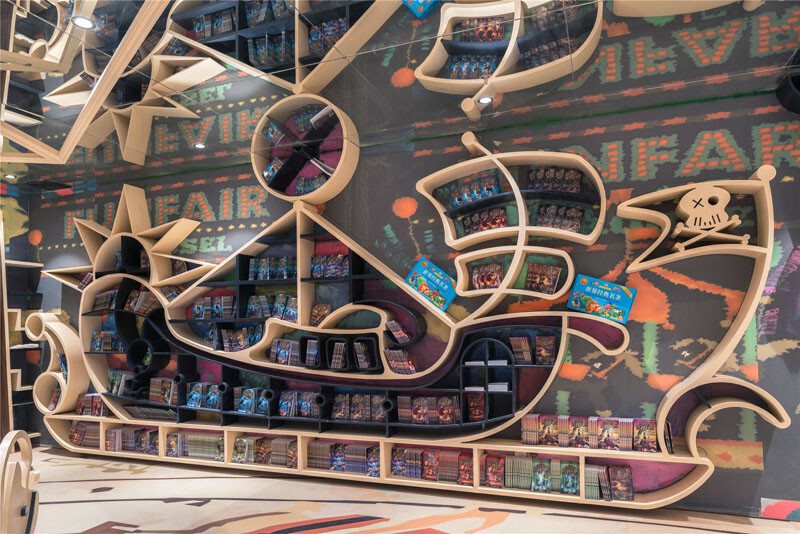 You can see through this passageway that the next area is for children. 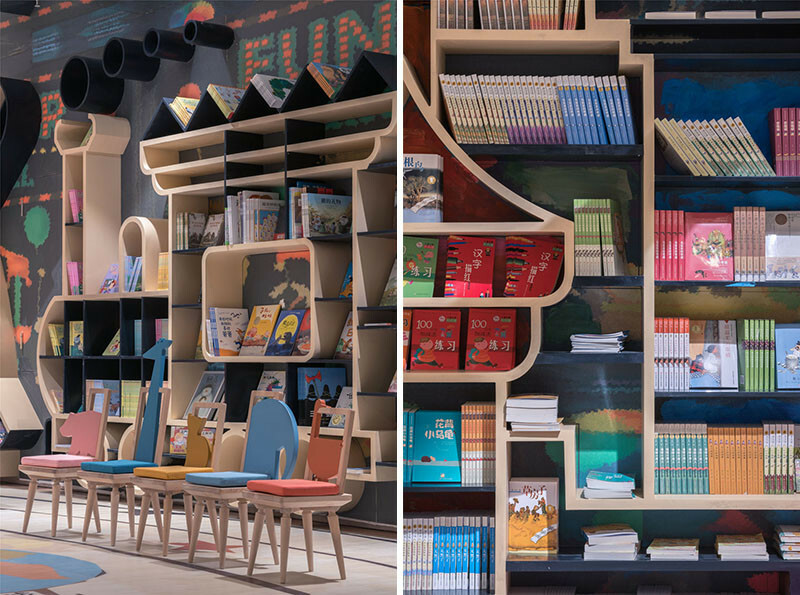 It’s a wonderland of shapes and colors they’ve named the ‘book playground’. 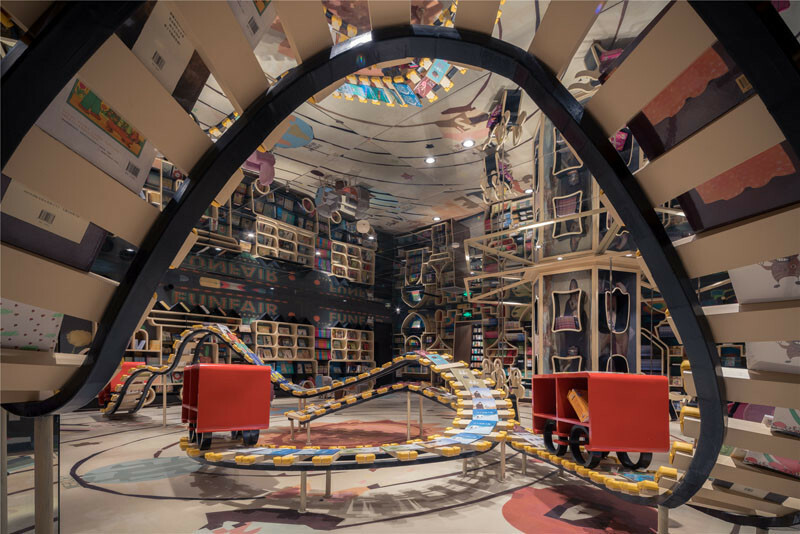 The space includes bookshelves designed as various playground facilities, like a roller coaster. 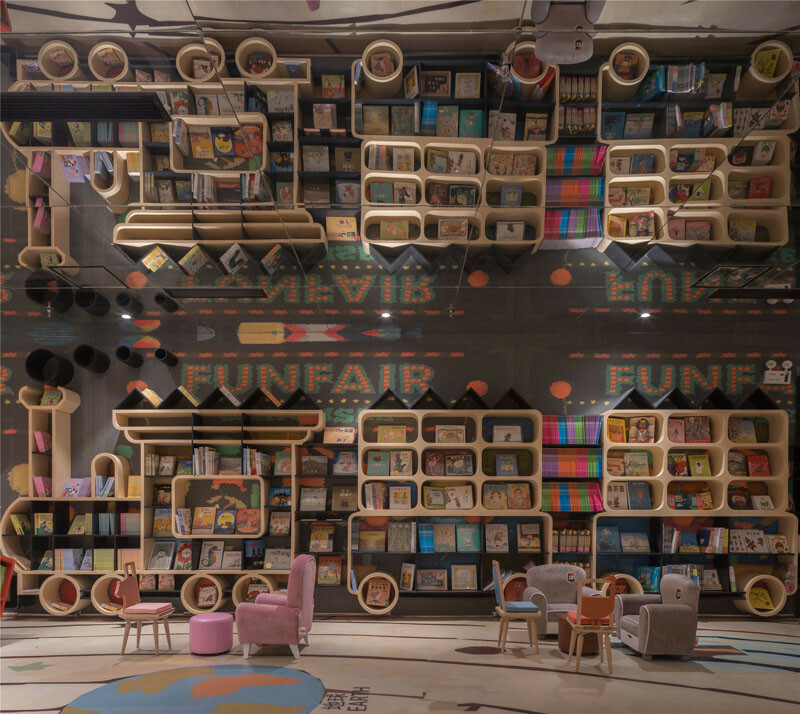 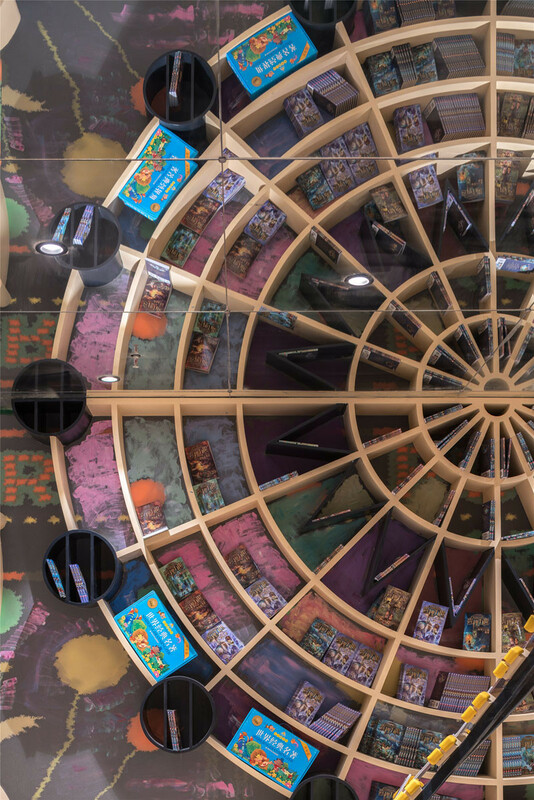 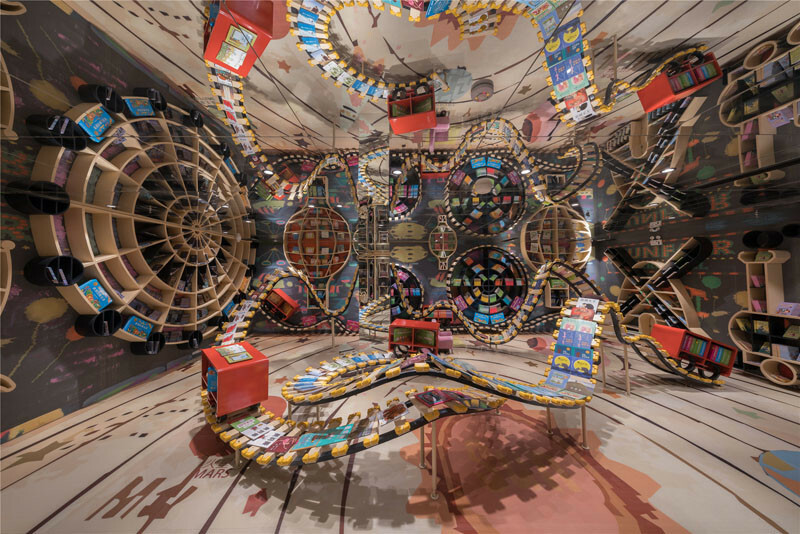 Overall this is one of the most creatively designed bookshops we’ve ever seen!